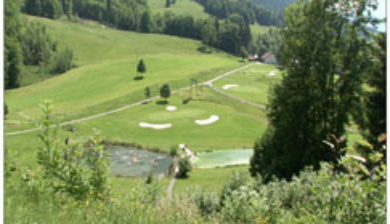 is a club and ball sport in which players use various clubs to hit balls into a series of holes on a course in as few strokes as possible. 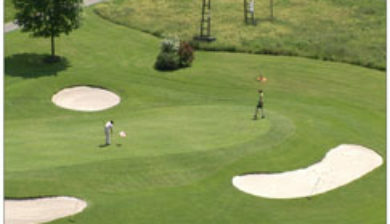 Golf, unlike most ball games, cannot and does not utilize a standardized playing area. 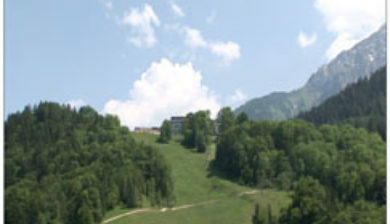 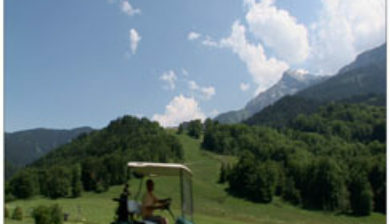 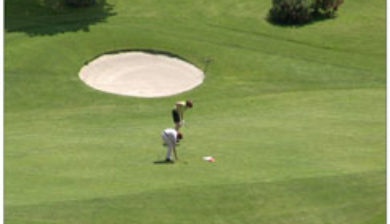 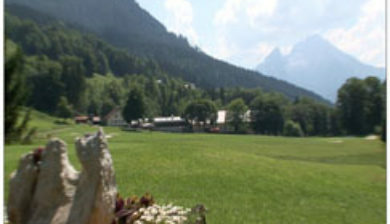 The game is played on a course with an arranged progression of 18 holes. 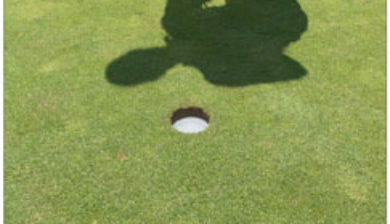 Each hole on the course must contain a tee box to start from, and a putting green containing the actual hole or cup (4.25 inches in width). 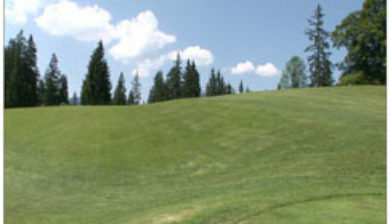 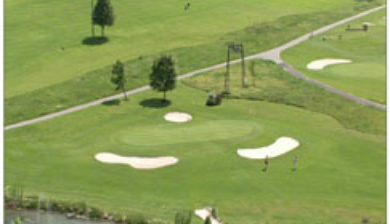 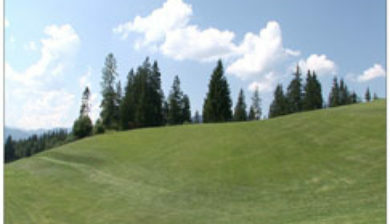 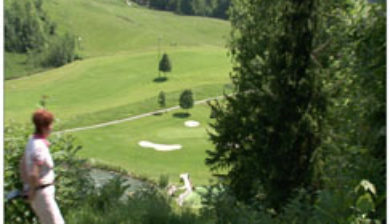 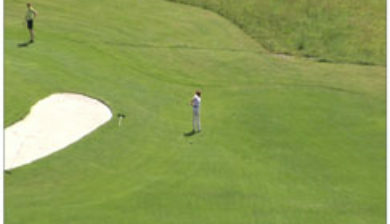 There are other standard forms of terrain in between, such as the fairway, rough (long grass), sand traps, and hazards (water, rocks, fescue) but each hole on a course is unique in its specific layout and arrangement.